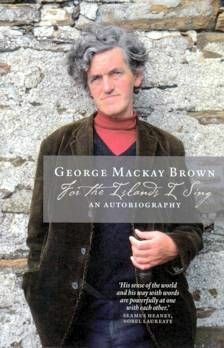 George's memory is inseparable from Orkney, where he was born the youngest child of a poor family and which he rarely left. His mother was a beautiful woman who spoke only Gaelic and his father was a wit, mimic and singer, who also doubled as postman and tailor. Tuberculosis framed George's early life and kept him in a kind of limbo. He discovered alcohol which gave him insights into the workings of the mind. While attending the University of Edinburgh he came into contact with Goodsir Smith, MacDiarmid and Norman MacCaig - and Stella Cartwright with whom perhaps all of them were in love. By the time of his death in 1996 he was recognised as one of the great writers of his time and country.